This 18th century former lead miner's cottage is situated just off the Main Street in Grassington, the largest of the villages in Wharfedale. 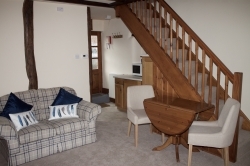 The cottage has been sympathetically restored and features original beams and stonework, but has all the modern facilities expected of the 21st century. This compact but very comfortable cottage sleeps two people (fold away bed suitable for a child can be put up in the bedroom). What Is Included In Your Stay? 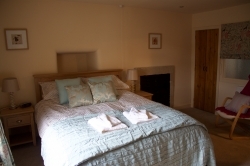 hot water, central heating and electricity, all bed linen (duvets, pillows, sheets, pilowcases, blankets) towels, kitchen linen (tea towels, towels, oven gloves). Free WIFI. A welcome tray with tea, coffee, milk and biscuits is provided on your arrival. 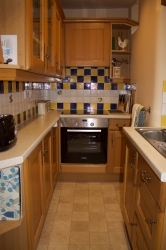 Our aim is to provide you with quality accommodation so you can enjoy your holiday. 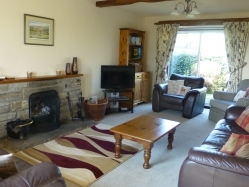 Furnished and decorated to a high standard we have achieved four star rating with Quality in Tourism ever since we first started letting our cottage in 2001.
accommodation with high standards of housekeeping." Digital television and DVD player, radio. Please see Availability Page for full price list and availability. Alternatively, you can call us today on 01756 752435 for more details.